Preparing for a chat with Italian pianist Luca Sguera, I took occasion to play once more his debut recording AKA. In an often ebullient and magmatic flowing of music, I barely noticed that some themes, some specific music episodes, were settling like snowflakes on the ground of my memory, apparently being unnoticed. One of them, a staccato piano pattern, materialized, apparently from nowhere, in the middle of fourth track Breathe, with a magnetic power of attraction. Everything that happened previously seemed to have prepared for that moment. When I switched to a different record in my playlist, still those memories came back to surface; like an epiphany, they reappeared when playing a piano duo work, the 2019 ECM release by Vijay Iyer and Craig Taborn, entitled The Transitory Poems. A similar piano pattern, repeated multiple times, swirling down by fixed intervals appears in the middle of initial track. While the motif played by the two piano masters held no similarity from harmonic or strictly thematic point of view with the one by Luca Sguera, still it held a very similar role in the piece development. Acting like a door, opening for a new point of view, coming when unexpected, it seemed to dig into an archaeology of influences from the past. It is not a matter of who influenced whom -both albums were previously unpublished works, released almost at same time. 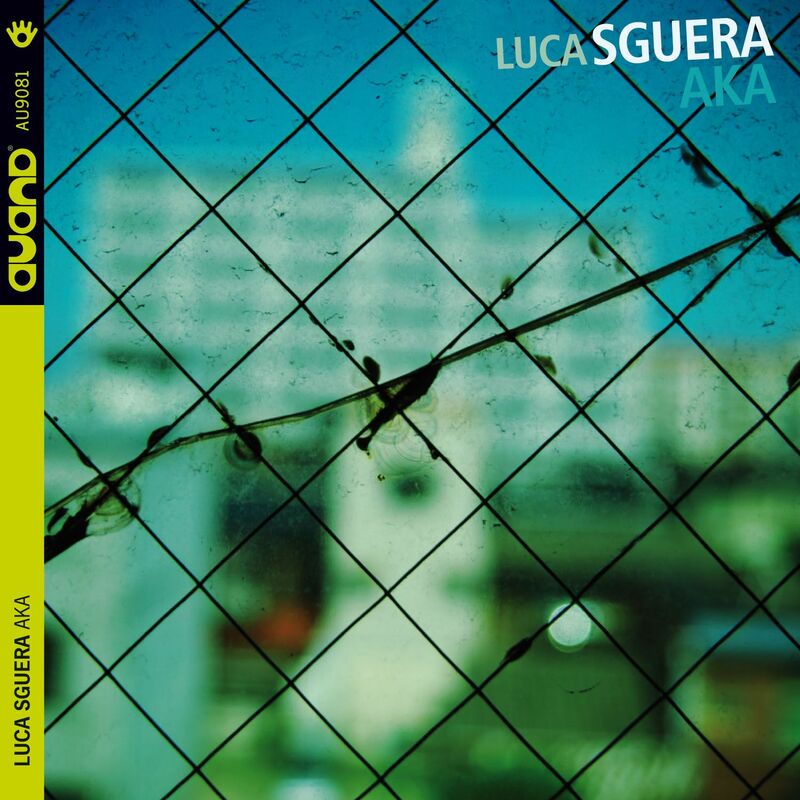 It is, instead, much more interesting to look at how Luca Sguera‘s quartet explores that same archaeology of influences, that same fertile ground that Taborn and Iyer master like few nowadays, with a strong and deep vision. Luca Sguera leads a very young line-up, informed by a range of 60s free jazz, contemporary jazz, electronic music and African rhythms. He is the pianist, the main composer of the quartet, alternating writing and improvisation with an high level of mastery, and currently completing his degree in jazz studies around Europe. He also loves exploring post-rock and electronic influences along with jazz, in She’s Analog trio as well with Goodbye, Kings. At the moment of our chat he is ending a six-month study cycle in Copenhagen, looking forward to move to Berlin in upcoming months, before eventually coming back to native Italy. Alessandro Mazzieri, the electric bass player in the quartet, is now based abroad as well, more precisely in Amsterdam. Completing the all italian line-up are Francesco Panconesi playing tenor sax and Carmine Casciello at drums. The four of them met while studying jazz at what is the think tank of Italian jazz, Siena Jazz courses. When they played their very first gig in a local jazz club in November 2017, sax player Dan Kinzelmn was sitting in the audience. He encouraged them to record and offered his support. Everything happened very fast and, in January 2018, they recorded what would have actually become his debut release in a two-days session, with Kinzelman acting as producer. AKA is a work that shows a clear intention, a deep and layered sound and a incredibly developed approach at interplay. Mixing the languages of the 60s free jazz together with the contemporary, the quartet holds a very distinctive approach. The title is inspired by the words of Simha Arom in regards the African population: AKA’s music is collective and everybody joins it; roles are not divided according to a specific hierarchy; everyone seems to enjoy freedom; voices grow in every direction. The researcher, who inspired among the others composers like Steve Reich and Luciano Berio, was a source for the collective approach of the quartet. My intent was to write open songs, that could be either written or improvised songs –says Sguera. I wanted the band to follow an hidden track. This would have allowed us to follow that trail or even to play more freely. I was looking for exploring the juxtaposition between an harmonic, rhythmic structure, and improvising over it, the juxtaposition between everyone’s choices and quartet’s interplay. The initial track, (h)opening, starts with bass’s deep harmonics and the slides resulting on turning the string knobs. Then, suddenly, the full line-up joins. Piano and drums throw a nervous and scattered dialogue: Sguera seems to play around dominant patterns, but holds no clue of the harmonic direction. Tenor sax and electric bass contribute in maintaining a single, almost droning, bass pattern, with Panconesi delivering a lyrical, spiritual, yet deeply dark playing. Sguera goes into detail about this improvised piece: when listening this track, I wonder like there are two forces, two souls underneath. Bass and tenor sax on one side, they are both holding a solid harmonic intention, laying underneath the surface, and then there are drums and piano following another intention, more sparse, more focused on exploring. Eventually they all meet on the very last notes of the song. Throughout the entire AKA, improvisation is masterfully disguised with composition, and vice versa. Density and deepness are the distinctive mark of this work, like a substance made of a dark, earthy, overlayered matter. Breathe deepens this density: it’s like moving in a soft nightly conversation, with a nocturnal aura, still devoid of any sentimentalism. Francesco Panconesi whispers an intimate theme, with the kind of deep and almost rough blowing typical of Joe Lovano, while Sguera and Casciello stay in the background. Piano enters in only during the bass solo by Mazzieri, who alternates glissandi scales with an incredible deepness. Luca Sguera places that repeated staccato theme, mentioned earlier. The other three restrain from overthrowing the intensity of the moment and from increasing too much the dynamics. They, instead, thoughtfully underpin the piano playing. One of the things I care most is rhythm -says the pianist. Sometimes I think I should have played drums. Playing with such a drummer like Carmine, who is really a skilled player, gave me opportunity to explore many things. It was him to suggest that arrangement in Breathe, visible at the moment when we play with rhythmic contraction and expansion. Feldman explores the density starting from a very static sound, instead. The track incubates a chamber jazz approach, without ever veering to an austere or academic mood. Panconesi explores a reflective looping pattern on tenor sax, which thing inspired naming the track after composer Morton Feldman. Drums, bass and piano punctuate it with an angular, yet subtle, rhythm. Feldman’s influence in writing this track is evident in initial part –Sguera hints. The tenor sax plays this ambiguous harmonic progression in loop. This is influenced also by William Basinski, a musician who played an influence on me, like when he plays with piano loops. This somewhat reminded me Feldman, how he builds that repetition, this sense of harmonic stasis in music. At around four minutes and thirty the four of them coalesce in a repetitive pattern that marks the entrance of piano solo. In a labyrinth of rhythms, of starts and stops, and overlayers of multiple measures, Sguera delicately ignites the track until the burning ending, when the four of them create an impressive wall of sound: this is the track with the most dynamic variety. It starts with an hypnotic mood, until the final explosion, when Dan and myself we liked to add our voices singing the closing theme. Where Feldman is the longest track on the record, ranging over nine minutes, And We Found Ourselves Talking Machine Language is the shortest with one minute and half. A Cecil Tayloresque start exhibits an array of aggressiveness that progressively slips in an hypnotic repetitive pattern by bass and piano. The pianist offers his view on that: there’s lot of attraction from rhythmic point of view [in And We Found Ourselves Talking Machine Language]. There’s much attention at that, and it was an initial step toward something I will be dedicating in future recordings. This is about rhythmic ideas that could create a similar effect, being written, but still sounding like they were improvised. And this sounds like a direction he wants to focus more in the future: I am thinking a lot about rhythmic counterpoint, with every pitch having its own identity and weight. […] This is something I am working about here in Copenhagen and I can’t wait to bring on the table with the band. It might be something interesting, close to minimalism and Steve Reich. Sguera‘s playing is highly informed with a deep rhythmic approach, whether it comes to the exploration of repetition inspired by Steve Reich‘s works or the rhythmical intricacy of jazz piano masters, like Thelonious Monk. The musician that influenced his playing most, in addition to contemporaries like Craig Taborn and Benoit Delbecq, is one of the recently rediscovered greats: Andrew Hill. A pioneer, whose playing was made of an unique style made of sparse, rhythmically crazied piano playing, Hill has garnered a reputation only in the last years, when a new generation of pianists deservedly brought him back to surface. This led rediscovering those recordings during his Blue Note years in the 60s, like Point of Departure (1964), or the incendiary 1967 recording Compulsion!!!! !, on which release Hill brought his fragmented style to an impressive level of intricacy -thanks to the inclusion in the nonet of two percussion players. Interestingly this percussive African influence is sounding so close to many moments in AKA. He was the pianist who really opened a door in front of myself for the first time -says Sguera. The one whose approach I felt closer with, which I was soon developing myself on my playing. Benoit Delbecq played as well an huge influence on him: while studying with him, I learnt he was investigating in a similar direction I was interested in. I was learning Ligeti’s Fanfare during the same time, which thing led me to understand more about the music of Aka tribe. Delbecq has shown an interest in the percussive sides of piano playing, often making use of prepared piano in his recordings. One of them, The Sixth Jump released in 2010 at name of his trio, interestingly includes a track named after AKA. And also classical pianist Pierre-Laurent Aimard showed an interest in exploring the African music, this time in conjunction with the music of Ligeti and Reich, in his African Rhythms. All those influences are sitting like snowflakes on the ground in the memory of Sguera‘s playing: while writing AKA, I was preparing to write an essay for my studies at Siena jazz classes, entitled ‘Exploring non-metronomic time in jazz improvisation’. I was listening a lot Ornette Coleman, Cecil Taylor, Anthony Braxton, Andrew Hill, including contemporaries like Craig Taborn, Philipp Gropper and Benoit Delbecq. Exploring deepness without indulging in obviousness, alternating it with sudden bright lights, this is the mood of this quartet. A dense and obscure sound is probably the trademark of this line-up –Sguera says. We resonated with that since the very first time we played together. From a certain perspective, I aimed at it when writing my composition for them. I am not sure where it comes from, maybe it depends a lot from the way Carmine plays the drums. But this typical sound is one of the reasons I wanted to keep this band. I was really astonished from the very first rehearsal we had, because it was so precise and clear the direction. We are currently working on developing it further. Whether it’s Go alternating sudden bursts with intense and reflective moments, or the takes inspired by Satie‘s Vexations, this density is explored at same level within improvised or written frameworks. This balance is hinted by the words of the pianist: I chose to include completely free improvisations due to the fact they seemingly were the continuation of written pieces. I opted for keeping those improvised parts, to cut what once was a single hour studio recording with no interruptions, and to keep those things that appeared as potentially being written. The feeling that guided this music and that I still recognize in this music is that of a tension between order, hierarchies, geometric elements, architectures within written parts and, instead, that chaos, unpredictability, destructured element given by improvisations. Guided by a balance between multiple influences, between opposite elements, and masterfully letting them being inspired by the influences, Luca Sguera‘s quartet shows a clear vision behind their music in AKA.